From my childhood and youth in the dairy country of Upstate New York, I developed a fascination with, and a passion for, animal behavior and the manner in which certain behaviors affect the outcomes of hunter/animal interactions. As my level of learning and understanding of animal behavior grew, so did my hunting success. That success, in part, helped me land a position with Primos® Hunting Calls as one of their ProStaffers. 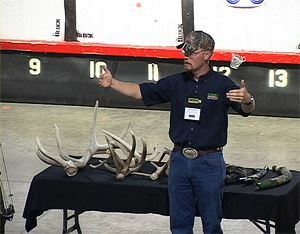 As I began to give calling and hunting seminars across Colorado, SE Wyoming, and northern New Mexico, the truly unique material that I taught, how I taught it, and the success of my "students," others came, hungry for the type and level of education I provided. Between 1999 and 2003, demand for my seminars increased to the point where—in the months preceding turkey and elk seasons—I was speaking to a different group of hunters nearly every weekend, and even on some weeknights. Because others across the country were starting to put out hunting-related educational material on CDs and in various video formats, the pressure built for me to do the same. 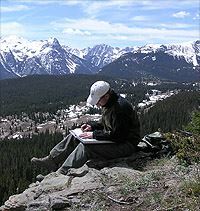 While I did record some material for private distribution, I held off on producing material for the public at large, not only because of increased demands on my time as a wildlife consultant, but also because I just was never satisfied with the production quality, or the professional appearance, of what could be produced economically. While my material was circulated around the country (with its influence being seen in the educational resources provided by some of my competitors over the years), I put off producing my own video material until I had sufficient time to devote to the effort, and until the necessary technology became faster and more affordable. Moreover, while some hunters were asking for “portable” resources such as DVDs, others were asking for more in-depth educational opportunities. To satisfy the latter demand, in 2003, I started conducting three-day clinics, which focused on elk behavior, vocalizations, communication, and hunting strategies. But demand continued to grow. People grew increasingly hungry for quality information, yet disappointed with much of what was available to them outside of actually attending one of my seminars or clinics. 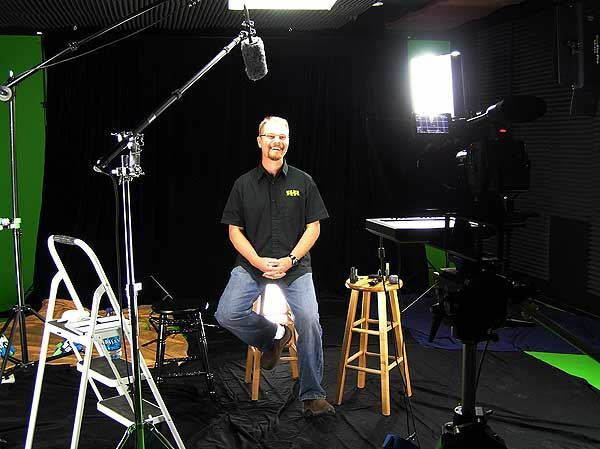 Between 2003 and 2008, demand grew to the point where, in 2009, I finally committed to start producing educational videos for the public-at-large. With today's technology and internet streaming capabilities, there really was no reason why I COULDN'T provide what you all wanted: professional, science-based information about animal behavior, vocalizations, and their communication, that could be accessed through a high-quality, web-based, affordable format. Thus was born Roe Hunting Resources. Through the use of internet streaming technology, Roe Hunting Resources now allows me to share my knowledge with all of you, in a broader context, and in greater detail, all while in the comfort, privacy, and convenience of your own home, office, or on your mobile device. I have a degree in wildlife biology from Colorado State University and—in addition to running Roe Hunting Resources—am also a managing partner of a separate wildlife management and consulting company. In this capacity, I am fortunate to be able to work on a variety of wildlife conservation and management issues ranging from routine wildlife surveys for capital development projects, to designing comprehensive wildlife and habitat management plans for large property owners. My specialty is the understanding, and utilization, of wildlife behavior to maximize the success of my wildlife and habitat management plans and projects. In addition to my wildlife expertise, I bring to the table a background in range and forest management. As a hunter, my credentials run even deeper. Starting out as a wide-eyed kid tagging along with my uncles hunting across the farm country of Upstate New York, I have continued to hunt across the country, and credit my passion for wildlife behavior and communication as the basis of most of my success. The only hunting seasons that I missed since those early childhood days were during my assignment in Germany with the U.S. Army. This didn't stop me from taking after-hour jaunts into the German countryside to observe and discover new aspects regarding the behavior of some of that country's most notable big game species: the roebuck, red stag, and wild boar. While knowledgeable about the habits of a variety of game species, my real passion is hunting turkey and, even more especially, elk. Over the past 20+ years, I believe I have become a leading expert in elk behavior, communication, calling, and hunting. 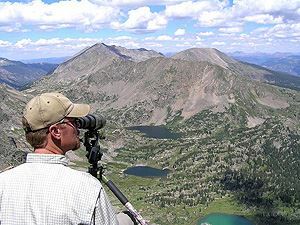 My knowledge of elk behavior grew exponentially in the late 1990s when he served as a research field technician on the Upper Eagle River Elk Study near Vail, Colorado. 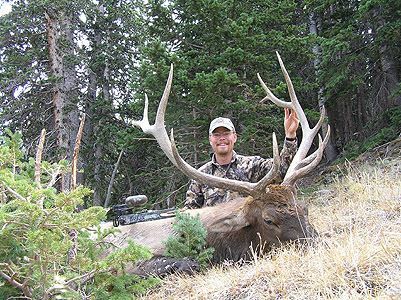 For three years, he hiked Colorado's backcountry recording the behavioral interactions of wild, free-ranging, public-land elk in their native habitat. Logging several thousand hours of direct observation of physical interactions between elk—from when they entered their spring calving areas, to just prior to the fall rut—I couldn't help but be exposed to literally THOUSANDS of vocal interactions. Like a sponge, I soaked up every vocalization, interaction—and the result(s) of those vocalizations and interactions—and began to tease out what specific body positions and vocalizations meant, and how the combinations of vocalizations and body language translated into very deliberate and specific elk communication. During the fall of each of those years, I took what I had learned and applied it to my hunting efforts, with great results. I continued my investigations into elk behavior and communication through the seasons, including winter. Throughout these years, I began to realize that elk were consistently using the same vocalizations and methods of communication regardless of whether it was early spring, the middle of summer, the peak of the rut, or the dead of winter. This shattered my previously held notion that elk use "special" vocalizations during the rut; an idea that is still being taught by many “professional elk callers” today. As I continued my investigations over the years, I was able to codify certain vocalizations and behavioral characteristics of elk into what I truly believe are almost “universal truths.” These truths now form the foundation of the educational program found here at Roe Hunting Resources regarding elk behavior and communication. Since my initial work, I have continued to follow elk through the seasons—from their summer ranges to their winter ranges—and use that ever increasing knowledge not only in my own personal elk-hunting efforts, but now bring it to you, through the resources found here at Roe Hunting Resources. This in-depth, science-based information regarding elk behavior and communication is unmatched anywhere else. All right, you're supposedly a professional and that's great and all, but so what? Why am I giving you 30 minutes, or an hour, or TWO hours of my life? So what? So you're an 'expert'... Whoop dee doo! I just gave you two hours of my life. So what? Why should I care about your stories? What do they matter to me? So what?!?!? From the very first day, the number one commitment I made to myself, and to all the people who would ever listen to me, was that those people would never waste their time. I would NOT be the person to get up there and have someone ask me, "So What?" without being able to give a good answer to that question. From the very beginning, the answer to "So What?" has been at the very core of my philosophy regarding my educational material and hunting resources, and I can tell you that it's at the core of everything behind Roe Hunting Resources and the material that you'll find here. I made the promise back then, and I make it to you now, that I will ALWAYS strive to answer, "So What?" before you before you ever even think to ask! I believe in saying what you mean, and meaning what you say. For game calling, that can be harder than it seems. How do you say what you mean or mean what you say if you don’t know what you’re saying? This becomes even more critical when trying to call in critters with diverse vocabularies, and complex communication. While a lot is still unknown about many aspects of animal communication and their vocalizations, much of it IS known. Just like in human conversation, vocalizations – or “calls” – have meanings, and strung together properly, those meanings relay thoughts, ideas, and feelings. Strung together improperly, well … all sorts of bad things can happen. WHY a particular vocalization is used. Armed with that knowledge, and to the best of my ability, I strategically pick and choose just the right vocalization for the situation in order to maximize my likelihood of success with each and every calling set-up. Do I always get it right? No, not always. Is it easy? Sometimes it can be. At other times, not so much. BUT, if you strive to UNDERSTAND the vocalizations you use, rather than simply mimicking a particular sound because someone told you to, or because you heard it once while you were hunting, you’ll have a better chance of adapting yourself to the situations you find, rather than simply forcing your calling method upon them and hoping for the best. Purposeful and strategic use of the RIGHT vocalizations, at the RIGHT time, for the RIGHT purpose, translates into more consistent favorable responses to your calling efforts, in a greater variety of situations, and increases your opportunities for filling your tag. Our motto of “Make the Right CallTM” is much more than a catchy phrase; it’s the key to your hunting success. When you understand WHAT you're saying, WHEN you should say it, and - most importantly - WHY you’re saying it, you’ll be able to "...Make the Right CallTM" in all of your hunting efforts! While I count myself blessed regarding the opportunities I’ve had so far in life, traditionally I was never one of those people who is able to hunt multiple states every year and take off multiple weeks to go hunting somewhere. For the bulk of my life—and over most of my hunting experience—I was limited to after-school forays a couple of times a season (in Upstate New York and Wisconsin), or maybe a weekend here or there (while in Washington State during the military, or during my early years in Colorado). Excluding the season I spent as an elk guide for a licensed outfitter in 2000 (where I spent a whopping ONE DAY hunting for myself), it wasn’t until I started my own business back in 2001 that I was finally able to starting taking "a whole week off" to go hunting. And like many of you, most of the hunting opportunities I’ve had have been limited to public land, in what folks in Colorado call “Over the Counter” units, meaning that ANYONE can go to a license agent, buy a license, and go hunt. While it’s great that I can do that, and that I can hunt for a variety of species, a LOT of folks in Colorado enjoy that opportunity! If I’m not mistaken, Colorado hosts the greatest number of hunters per acre on public land of any western state. Given these limitations on my time and on the places where I could hunt, I wanted to maximize my success. But running around the hills just calling a lot—while successful from time to time—often ended up with me calling in more hunters than animals. Worse yet, when I got elk or turkeys fired up and bugling or gobbling a bunch—while it was definitely a blast—it also broadcast to the world where the animals were. Ultimately, it ended up putting more hunters in my spots than animals on the ground, with all the extra hunters in my area spooking the very animals I had worked so hard to find. For one reason or another, I’ve always been able to find animals wherever I’ve hunted. Maybe it’s been my background in wildlife biology and my knowledge of habitat. Maybe I’ve just been lucky. In the early years, the trick wasn’t FINDING animals, it was getting one on the GROUND, and a tag filled before all the other hunters found my spots and messed me up. Early on, I started to develop a philosophy that if I could locate an animal, slip in quietly, and work it in a way that WOULDN’T get it fired up to the point of bugling or gobbling too much—if I could simply tell an animal what it needed to hear to come in nice and quietly, or at least QUICKLY—I could fill more tags in less time, without “educating” all the hunters around me. Using the information and knowledge I gained from elk studies and other learning experiences—which I share in all of the Instructional Videos—I started to perfect my “stealth” philosophy, and gradually came to realize great success. Not only was I filling more elk tags, but I was finding little hidey-holes that were productive, year after year. SCORE!!! To a large extent, the same goes for turkey hunting. Today, I’m committed to the philosophy of using very specific strategies, with highly TARGETED vocalizations, to call in elk with the LEAST amount of calling from ME as WELL as from the animal. While some may construe that as meaning I’m an elk hunter who relies largely upon listening and “spot and stalk”, that isn’t the case at all. I believe that in MOST cases, elk—properly approached and called to—can be called in for a shot by the SAME person who will do the shooting! I almost always call in my OWN animals for the shot. I’m not stalking or ambushing them, and I’m not relying on a team of friends calling behind me. For turkeys, it's just the same.